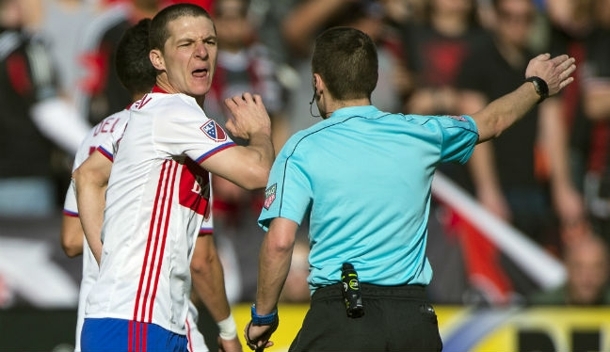 Referee Mathieu Bourdeau says he will continue to work hard under the guidance of PRO to improve and earn his place as a MLS regular. 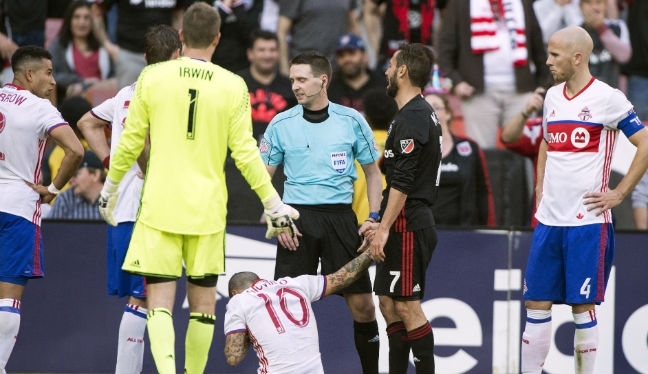 The Canadian is on the roster as a fourth official but took the whistle in MLS for the first time ever in 2015, being assigned to Toronto FC versus Colorado Rapids in what was a productive year. He’s already notched another center official appearance in MLS this season, taking charge of D.C. United’s game against Toronto FC at RFK Stadium in Week 7, and is eager for more opportunities. “I was grateful and excited to get my second assignment in my career as center referee in MLS,” the 36-year-old told proreferees.com. “I prepared myself going through the same routine I always use and, overall, the game went well. “I had the privilege of being able to rely on a good crew, made up of the experienced Craig Lowry, my long-time friend Oscar Mitchell-Carvalho, and Jose Carlos Rivero as fourth official. They all gave me good support in a game that I enjoyed very much. While he may have only made his MLS debut last year, Bourdeau has clocked up numerous games in other leagues since his first professional game in USL in 2007. He has also been on the FIFA panel since the start of 2015, and has received nearly 50 fourth official assignments in MLS – all of which are helping his development. “In 2015, I received many great opportunities as center referee – two FIFA World Cup Qualifiers, French Super Cup, Olympic Qualifier tournament, the Brazil versus Costa Rica friendly, Pan Am Games, CONCACAF U17 tournament, and my first MLS game. The feedback I obtained from top assessors in all of these events helped me improve as a referee. “Being in MLS as a fourth official for a couple of years has given me the chance to learn more about players and staff members from different clubs, which is an advantage when you take charge in the middle. “Also, being active in the middle in NASL for the past couple of years, and at the international level since last year, has helped me prepare for the challenge of refereeing in the middle in MLS.